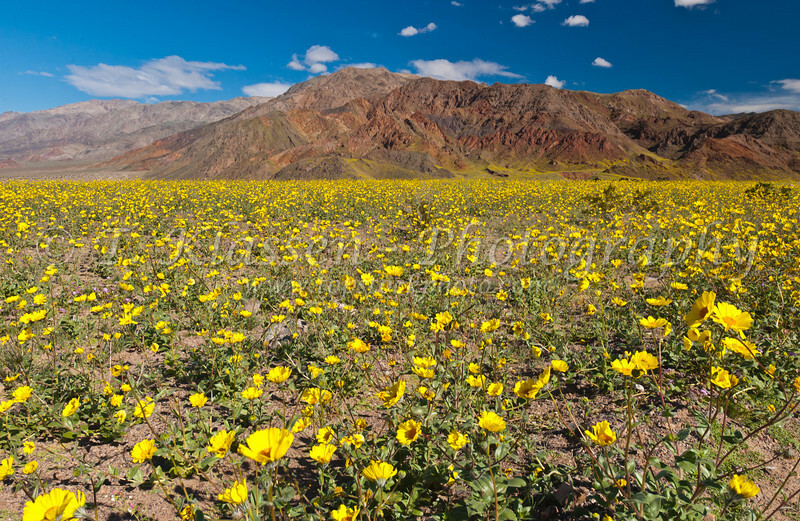 It is a rare occurance to see the hillsides of Death Valley National Park covered in wildflowers. In 2005, Death Valley received four times its average annual rainfall to produces a spring wildlfower show documented in this gallery. Desert Gold wildflowers on the hillsides in the southern part of Death Valley, California, USA.